Regarded as one of the most powerful media programs, iTunes is of great significance in sharing the latest media resources to users. Among them, you have right to download favorite albums and tracks for offline listening. All of them can be saved in your personal iTunes library. However, as a music enthusiast, you may have a moment when you want to cutting off a part of your music to keep it smaller. Good news is that you can directly take advantage of your iTunes to complete this task. Certainly, in case you are unwilling to be confined on iTunes, you can also enjoy yourself in cutting music by utilizing its alternative. 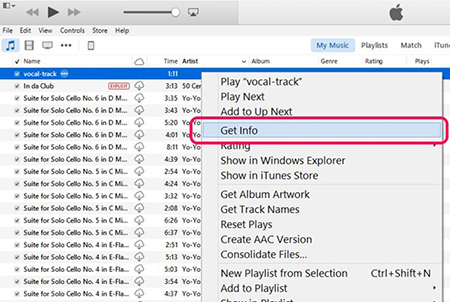 If you are an iTunes user and have already equipped your computer with this software, you can direct to refer to the following quick guide to cut your music. Here's how. Note: Any content must be purchased through the iTunes Store and only the devices that authorized by Apple can play the purchases. Anyway, there are some inevitably problems you will meet if you are just common user. If this way is not workable for you, jump to its alternative for help, which can let you cut music freely. This first step is to import the required music to iTunes Library. 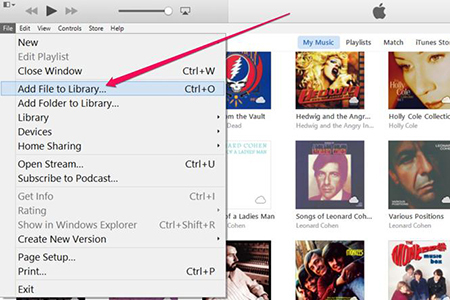 Hit "Ctrl-O" in iTunes or click "File" > "Add File to Library". Press "Open" option from the navigation window to edit the designated music. 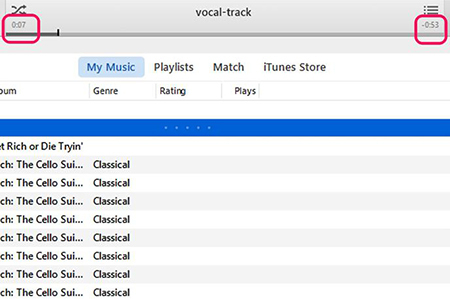 Play the music in your iTunes and check out the status pane at the top-center part. Then you are enabled to slide the controller and find out a satisfying value for both start time and end time. 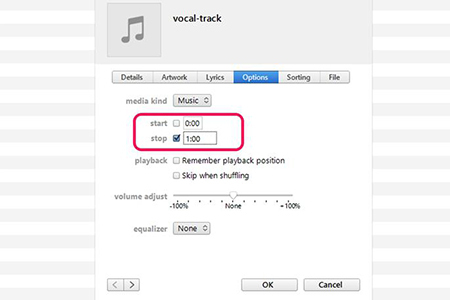 Step 3 Select "start" and "stop"
Locate at the song that is being played and right click it. Find the "Get info" option and enter it. There is a "Options" section, from which you can specify desired time points. The interface is designed as below. Put exact minutes, seconds and milliseconds into start and stop box. Once it is determined, hit "OK" to save it. Note that though iTunes will show original time length, it will only play the designated part for you. 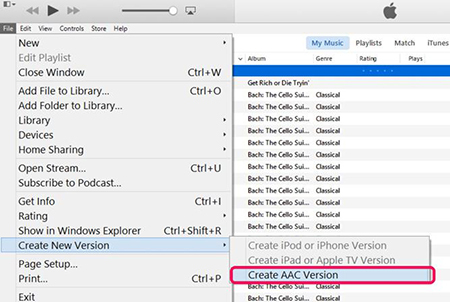 To save your edited music on iTunes successfully, you can go to hit "Create New Version > Create AAC Version". Then your music will be outputted in M4A format. 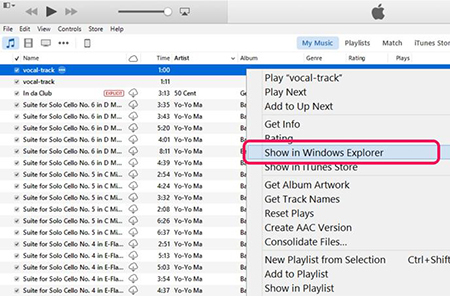 To guarantee all destination music is cut according to your needs, you can right click it to choose "Show in Windows Explorer". Then an iTunes folder will displayed in your sight. Right click the "Properties > Details" to confirm the music length again. 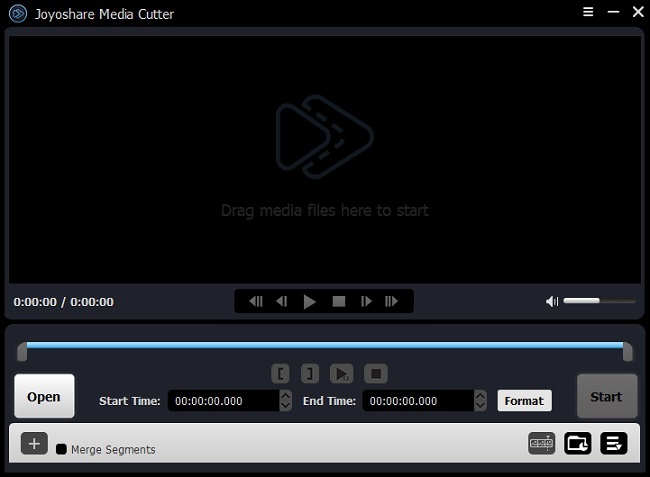 Contributing to cutting music to small sections by removing unwanted portions, Joyoshare Media Cutter is a fairly prevalent splitting tool. It is able to shrink any music in different formats without damaging the original quality. Explicitly, there is no re-encoding process when it comes to cutting music. Any music or audio tracks imported can be reworked in high speed, which is up to 60X exactly. You can also have access to customize your music files' quality, codec and bit rate as long as you head to tick "Encoding mode". 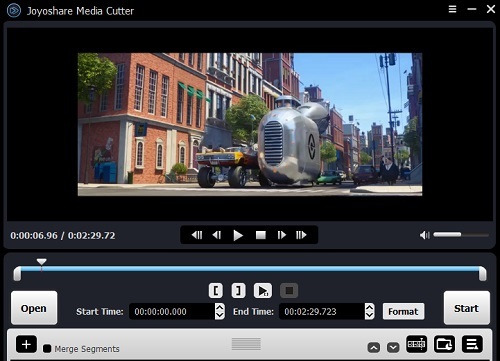 In addition, Joyoshare Music Cutter is well developed with handy timeline and controller, which facilitates you to decide a trimming selection precisely. This professional tool also has options to numerous output formats, including MP3, FLAC, AIFF, WMA, AU, M4A, AAC, AC3, etc. It is worth noting that Joyoshare Music Splitter ideal for merging several audio/video segments into a new one. In case you are in need of generating audio tracks only from a large video file, this smart tool also allows you to extract desired fragments from original source without hassle. 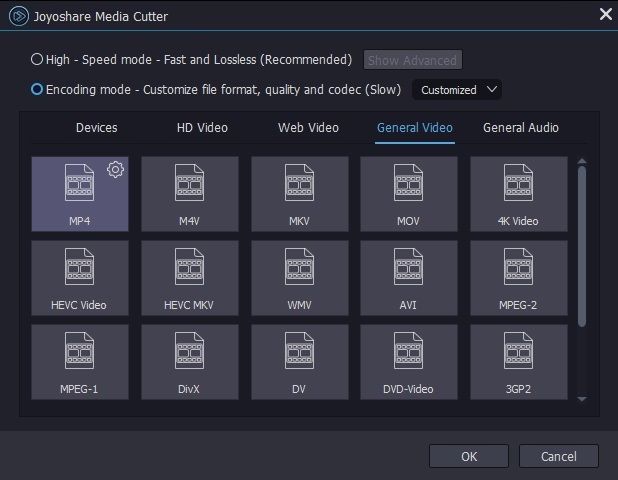 Considering you have already downloaded and installed Joyoshare Media Cutter on your computer, you can directly launch it. Aiming at adding your music file easily, you can drag the designated music to this program or hit the "Open" button to locate it. With the intention to enhance the accuracy of the cutting area, you should make use of the well-arranged handles and timeline. Joyoshare Media Cutter will play the required music for you automatically. Move the slider to a proper position and make it. Or you can enter an exact start time and end time to the temporal intervals. Assuming that you want to get more cropping pieces to join them together, straightly press the "+" button and tick "Merge Segments" option. Go forward to click the "Format" button to demonstrate all hidden parameters for you to choose. If you'd like to personalize your output music, select "Encoding mode" rather than "High-Speed mode". Then you can hit the general audio you want, for instance, MP3, MP4, AAC, AC3, OGG, M4B, FLAC, etc. Only by hitting the gear icon at the top right corner of each format, you are permitted to enter and setup relevant parameters based on your requirements. Now click the "Start" button to initiate a splitting process. Once it completes, you will see a folder, which consists of all trimmed destination music files. Preview it one by one and delete the unsatisfying music in your way.